This volunteer midwifery project helps treat disadvantaged pregnant women and babies in hospitals in Dar es Salaam, Arusha and a rural Maasai community. The staff in these institutions can benefit from qualified midwives sharing best practice from their country of qualification. This project is perfect for midwives considering voluntary work abroad or midwives on a career break. 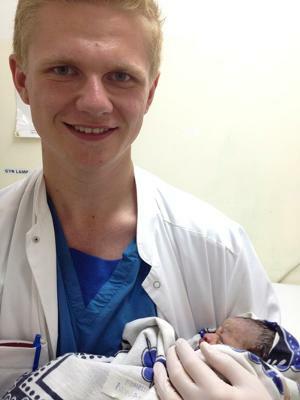 How can volunteer midwives help in Tanzania? Diagnosing, monitoring and examining women during pregnancy. Developing, assessing and evaluating individual programmes of care. Supervising and assisting mothers in labour. Producing literature for new parents giving advice on the daily care of their baby, including breast feeding, bathing and making up feeds. Helping with general medical outreach programmes within nearby towns and villages. Working with existing staff to find ways of improving care standards. Observing and assessing the work of local trainee midwives. The majority of our volunteers work in government hospitals. These are large facilities and you will be expected to work for around 6 hours per day, from Monday to Friday. Working in a hospital in Tanzania you will learn and practise methods of treating patients different to those used in the western world. You will also benefit from discussions with fellow professionals and pass on any information from your home country. If you choose to work in the rural hospital in the Maasai community you will also learn a lot about the Maasai culture and way of life. Locals will be keen to hear about your life back home, your family and your friends. We believe that this cultural exchange helps our volunteers gain a new perspective on life. Whilst the local medical staff speak English, please bear in mind that the majority of your patients will only speak Maasai or Swahilli. The local medical staff have very busy schedules but when you are working alongside them they will help translate when possible. Please let us know if you have a preference regarding where you would like to work. Safe accommodation with a Tanzanian family close to your project. For how long can I join the project? We encourage volunteers to give as much time as possible, however, you can join a PRO Midwifery Project in Dar es Salaam or Arusha for two or three weeks if you don’t have time to join us for four weeks or more. Please be aware that the longer you stay the more trust and respect you will be able to build with the local medical staff. Volunteers choosing to work in the Maasai community need to commit to at least 4 weeks on the project. You need a Bachelor’s degree in Midwifery, to be fully qualified as a midwife and have a relevant licence to practice in your country of residence. If you are interested in this project but don't have the relevant experience, then please read about our standard Midwifery project in Tanzania.